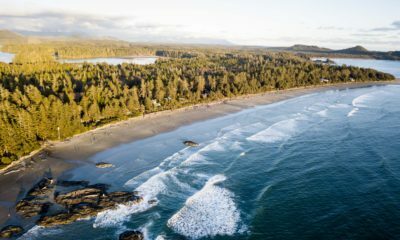 The first DROPLET was constructed in Langley, British Columbia, Canada. 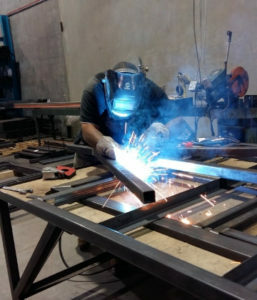 The founder of the company, Pascal and his partner Diane worked tirelessly on their weekends to bring the vision of the perfect teardrop camping trailer to life. Pascal and Diane are proud to say that the DROPLET will continue to be made in Canada. We hope to have manufactures on all continents to supply all of you with access to your very own DROPLET, in fact, we are already putting in the pieces into place to manufacture the DROPLET in Australia to serve our australian market! Our DROPLET team refuses to compromise on our values and we want to bring you the most ethical and high-quality teardrop camping trailer there is. 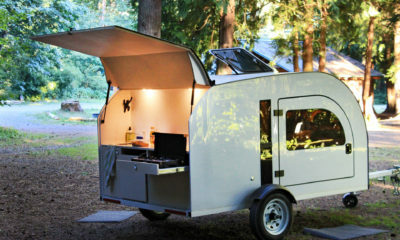 The DROPLET is more than just a trailer – it’s an embodiment of camping and travel culture. Our CEO, Pascal, is devoted to reducing waste as much as possible in the construction and delivery process of the DROPLET trailer. Pascal was inspired by boats and aircraft buildings when he was dreaming up the idea of the DROPLET. In fact, he got the idea to use balsa wood for the shell of the DROPLET after studying boats. Basla wood, commonly referred to as Ochroma, is a very interesting building material. 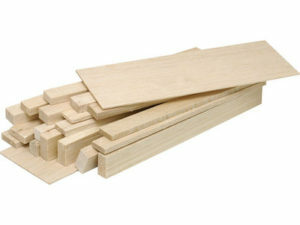 Balsa lumber is why the DROPLET is so light compared to other teardrop trailers. It is very soft and light, but the fibers of the material are incredibly course and strong. 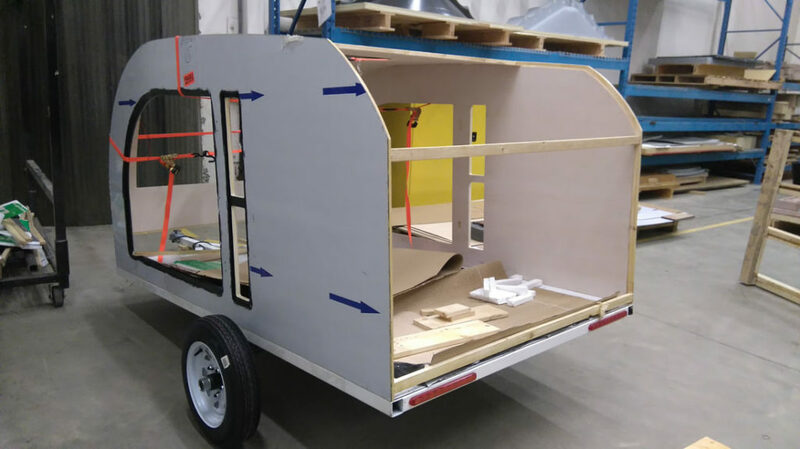 This material is often used for light and durable structures, which makes it perfect for a teardrop trailer. The majority of the DROPLET is made with a high strength structural adhesive. This process spreads the stress over a wider surface area, absorbing vibrations and reduces structural fatigue. 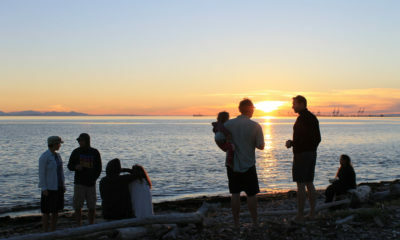 Here at DROPLET, we are hugely inspired by companies like Patagonia. We appreciated products that are made well and will last. But, we also believe that people should consume responsibly, meaning, we created this camping trailer for the serious outdoor enthusiast. If you are thinking of purchasing a DROPLET, we hope that you love the outdoors as much as we do and will make good use out of this teardrop. We really want this teardrop trailer to be something that people can have for decades and share with their friends and family to explore the beauty that the natural world has to offer. The shape of the DROPLET allows us to waste the least amount of material during construction! 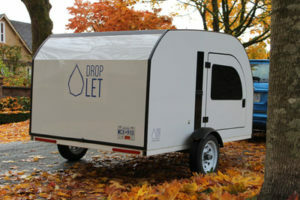 The DROPLET’s light-weight means that you don’t need a lot of fuel to tow it! You don’t need a big SUV to tow this trailer, nearly all mid-sized and small cars can tow the DROPLET. You have the chance to join the DROPLET community during our pre-sale campaign in early March. We are very excited to offer our early patrons this teardrop camping trailer. Creating the DROPLET was truly a labor of passion and love, and we cannot wait to share the DROPLET with you. Pre-Order your DROPLET on March 4th!